I am so appreciative for the positive energy and camaraderie that has been sent to our team this summer! I really have no idea where the summer has gone, and it seems way too soon for my kids to be back in school and our team to be working on the next edition of the guide already. Heidi and I are both excited to be speaking at the OHCA Annual Convention & Trade Show on September 18-19th. This is always a great time for continued education and to connect with those we haven’t seen in a few months. For our sponsors: September 13th is our quarterly sponsor breakfast at Providence St Vincent Medical Center. We will discuss recent updates and share all the upcoming case managers events for early registration. Please RSVP to assist us with food and beverage counts. 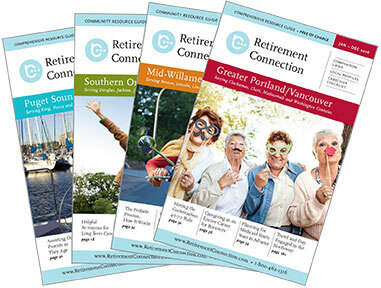 If you are not already a sponsor, please let us know if you want to connect and learn more about Retirement Connection- the guide, website and the network. Topic: What continuing education and self-development do you participate in?